The statistics drew me in: students who can’t read by the end of third grade are 4x more likely to drop out of school (Annie E. Casey Foundation). Students who do not learn to read proficiently by the end of third grade almost never catch up in school. I wanted to do something to help, and CYC’s Colorado Reading Corps program allowed me to take action. As I started my term of service as a tutor and learned about the stories behind the statistics, I felt even more compelled to help. My year began by observing two first grade classrooms, and it was obvious which children did not know their letter sounds or the basic sight words. I remember one day when the class was completing “all about me” worksheets and for those that did not understand the worksheet, misbehavior and acting out quickly followed. These behaviors disrupted the entire class. One girl really stands out from my year of service. When we first met, she was struggling with letter sounds and blends; she flourished with the one-on-one support I was able to provide through Colorado Reading Corps. By March, she exited the program and was one of the best readers in her class. The ripple effect of literacy continued as she became a more confident contributor in her class and her grades in other subjects improved too. I actually ran into her mother at the end of the school year, and she gave me a huge hug, thanking me for all I did to support her daughter. I learned so many new things last year as a member. Going into the service year I knew I was interested in working with youth in a school setting, and now I cannot imagine working anywhere but a school. I plan to do a second year of AmeriCorps service and then continue on my journey in education. 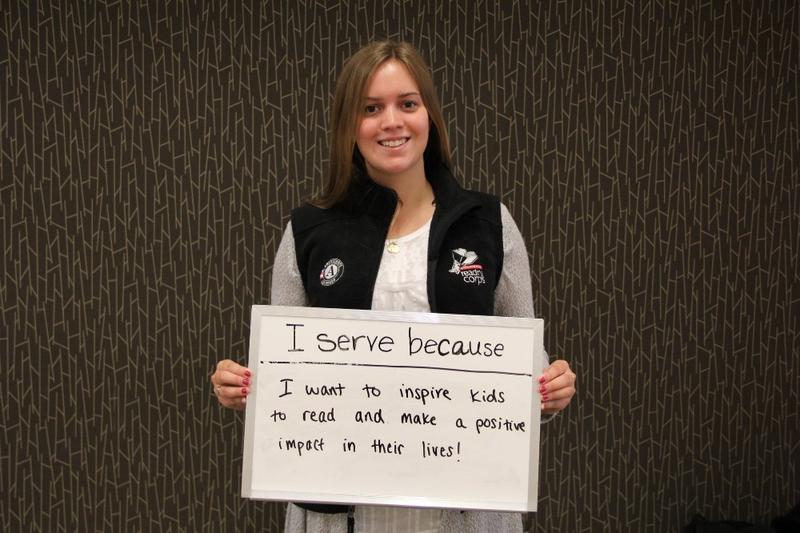 If you or someone you knows would like to serve as a Colorado Reading Corps AmeriCorps member, we’d love to hear from you! We partner with 8 school districts and will collectively help over 1,000 students next year. Applications are being accepted for the 2018-2019 school year. Visit our page to apply, and join me for a year that will change your life!